The Johannesburg Roads Agency (JRA) has launched a new traffic management system to help solve Johannesburg’s infamous traffic signal outage problem. 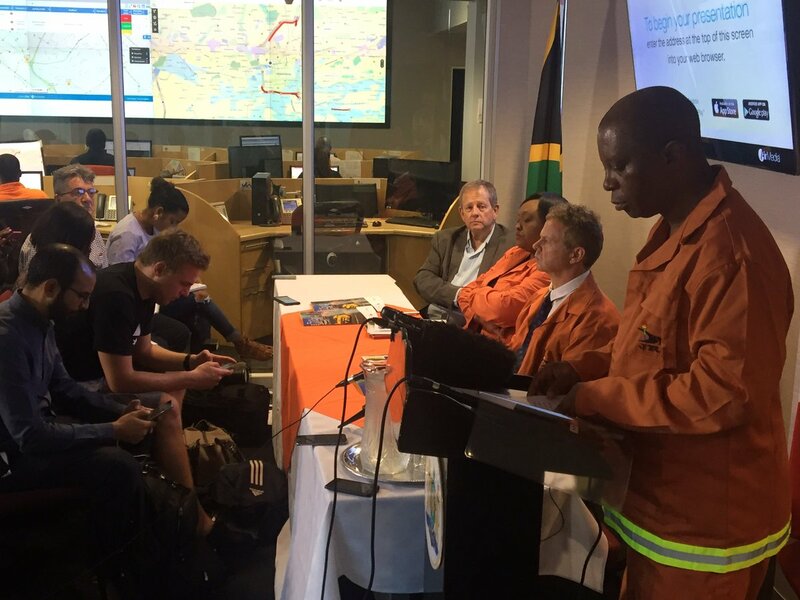 Speaking at a media briefing on 15 March 2017, Johannesburg Executive Mayor Herman Mashaba officially launched the SMART traffic system, developed by GeoSemantic Solutions. The SMART traffic system integrates real time data on traffic signal faults, congestion and many other elements enabling the JRA to identify faults faster, diagnose root causes and prioritise fixes. The SMART traffic system is widely expected to make a significant positive impact on Johannesburg road users’ experience- specifically in the form of reduced traffic signal faults and faster response times. Geosemantic Solutions is South Africa’s leading geospatial intelligence firm and helps organisations in the transport, logistics and mining industries extract more value from geographically distributed assets by monitoring and managing them effectively.